There is no match of brother-sister bond. 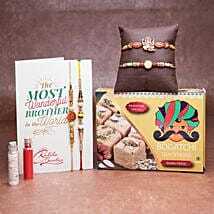 If you brother too is special and you want to surprise your little brother, but running out of ideas, we have the solution for you. Go to our online store of Ferns N Petals and choose from our variety of products, place your order and we will be there at your doorstep. 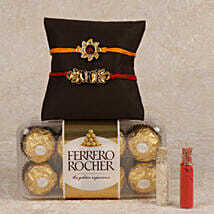 We provide free home delivery so you do not need to worry about other recurring charges. You can be rest assured. Our services are top notch. There is a lot of compassion in a relation of brother and sister. 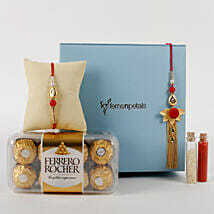 Celebrate this unique relation with special gifts. 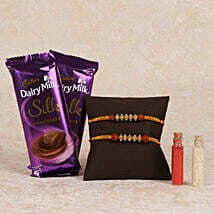 We offer a wide range of products. 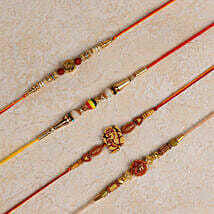 We have a collection of traditional rakhis as well as trendy rakhis. 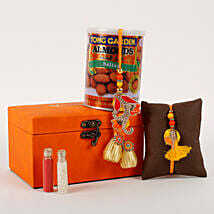 Other than that our unique set of gift hampers will blow your mind. 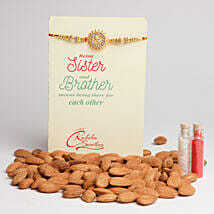 You can try something new; send rakhi with dry fruits online. 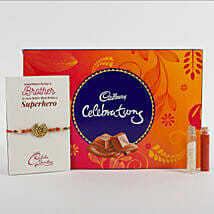 Spread joy and bring a smile on your brother’s face, this rakhi and renew your old childhood memories. 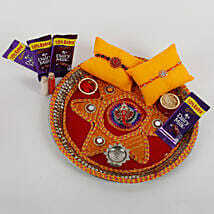 Wish you a happy Rakshabandhan!